If you are looking for an SUV that offers a trim lineup with luxurious cabins, advanced on and off-roading capabilities, and performance geared power then you have come to the right review! The Jeep Grand Cherokee does all of this and so much more. 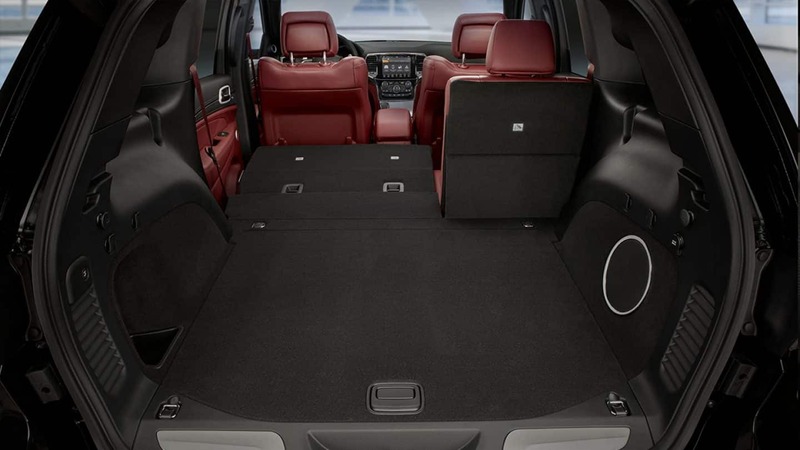 This five-passenger SUV can handle anything that you throw at it! 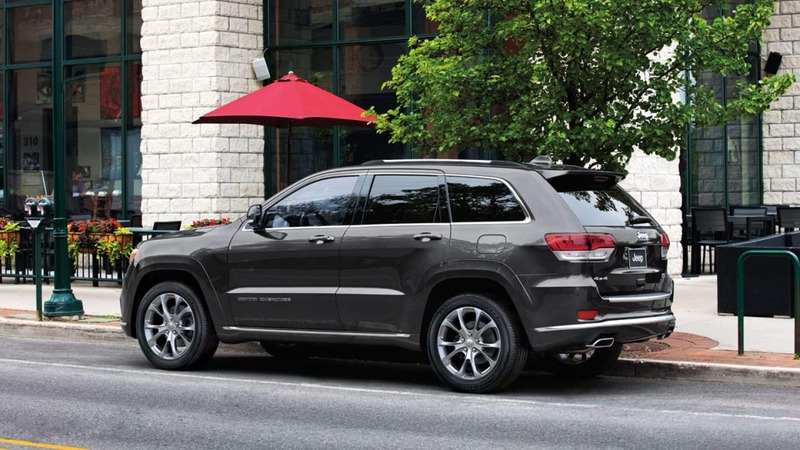 Entering the 2019 model year, the Grand Cherokee gains some new standard safety features like blind-spot monitoring and upper trim levels gain new 20-inch wheels! 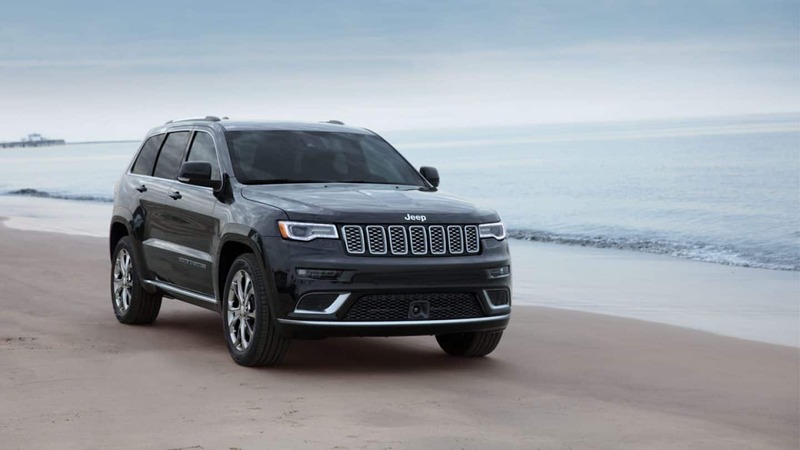 Keep reading the rest of our full 2019 Jeep Grand Cherokee review to find out what else this model can bring to your life. What are some of the trim levels and their features? There are seven Grand Cherokee trim levels to choose from in the 2019 model year. The Laredo starts the lineup off with standard features such as dual-zone automatic climate control, 17-inch wheels, a 7-inch touchscreen, Apple CarPlay and Android Auto, rear parking sensors, keyless entry and ignition, and a 6-speaker sound system. 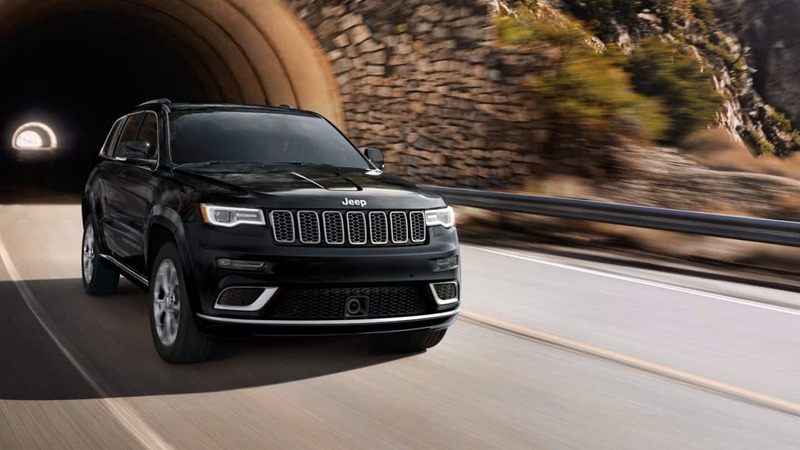 The Trailhawk, an off-roading oriented model comes with features like all-terrain tires, 4WD, adjustable air suspension, skid plates, and exclusive off-road features. 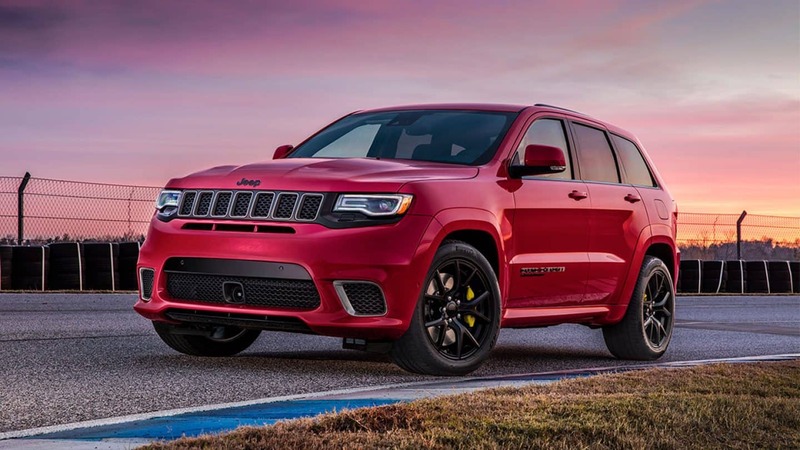 The SRT and Trackhawk are performance oriented models and they are equipped with features like specialized AWD systems, adaptive suspensions, Brembo brakes, limited-slip rear differential, selectable performance modes, and more! 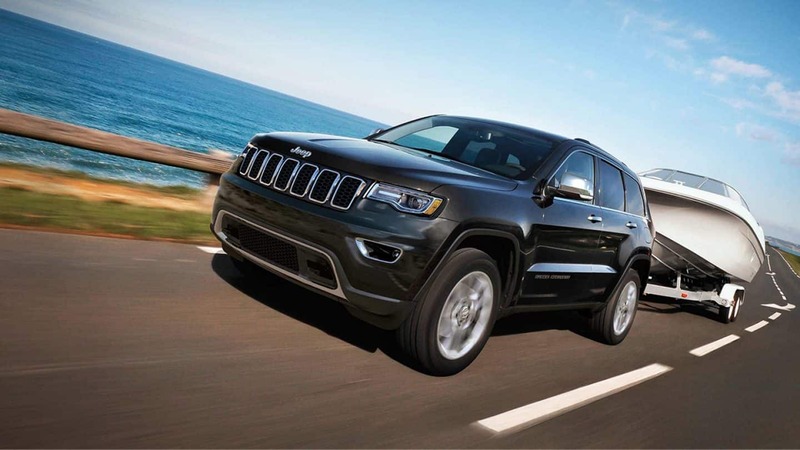 The Grand Cherokee's engine lineup is powerful and capable! Up first, powering most of the lineup, is the 3.6L Pentastar V6. This engine pumps out up to 260 lb-ft of torque and 295 hp and can be outfitted with both RWD and 4WD. A 5.7-liter V8 is also available to power most of these same trims. It cranks out up to 360 hp and 390 lb-ft of torque and can also be configured with both RWD and 4WD. The SRT models house a 6.4L V8 that generates up to 470 lb-ft of torque and 475 hp while the Trackhawk is powered by a 6.2L supercharged V8 that delivers up to 645 lb-ft of torque and 707 hp! All of the Grand Cherokee engines are mated to an 8-speed automatic transmission for a smooth and efficient drive each and every time. Can you highlight some of the safety and security features? The Grand Cherokee is going to have your back from the highway to the drag strip thanks to advanced safety and security features! 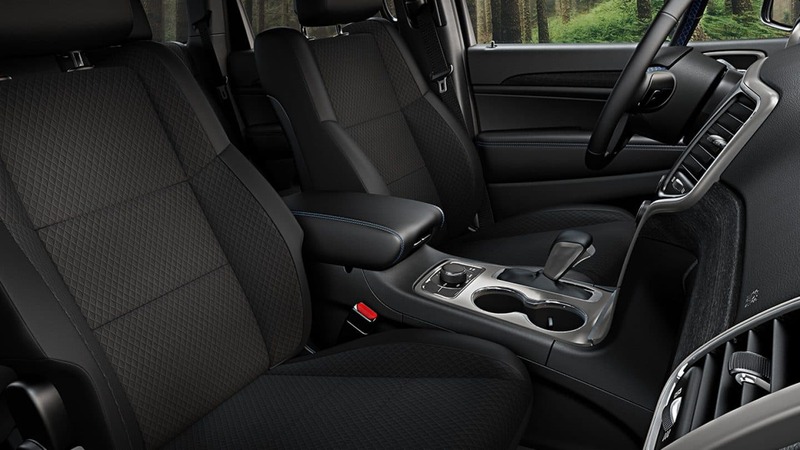 In fact, there are over seventy features available for the 2019 model year so you can ride around with peace of mind. Features like rear cross path detection and blind spot monitoring give you an "extra set of eyes" when on the road so you can be aware of vehicles you might not be able to see! You'll be a parking master with the standard rearview camera and available features like the ParkSense Rear parking assistant. The Grand Cherokee takes preventative safety measures as well with features like seven standard airbags installed throughout the cabin and the high-strength steel that is used to build the chassis, boosting its overall impact crash protection! 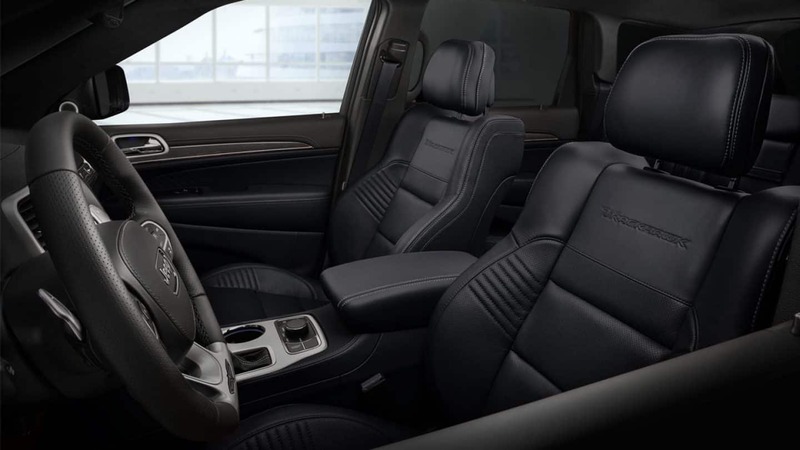 The 2019 Jeep Grand Cherokee is unlike any other SUV on the market and it's ready for you to climb behind the wheel for years of fun! Are you looking to learn even more about this stellar SUV? Come visit our sales team at the dealership today! They'll show you all the great features the Grand Cherokee has to offer in person and even take you out for a test drive so you can feel just how amazing the ride is for yourself!